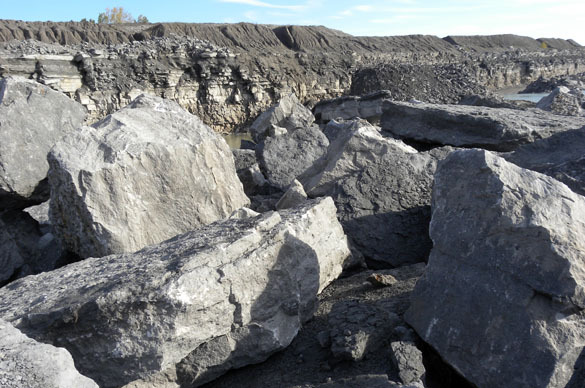 PAULDING, OHIO–There’s nothing like the stirring rings of 50 geologic hammers in the morning. Today I was a guest of the North Coast Fossil Club and my friend Brian Bade in a quarry exposing the Middle Devonian limestones and shales. There was frost on the ground when we began, but soon the sun rose and made it a delightful fall day of fossil collecting. Thank you to Brian and the NCFC for inviting me on their trip. I’ve spoken twice to the NCFC and they have been good friends since. It was my first visit to the highly fossiliferous Silica Formation (Middle Devonian), and I came away with a bag of treasures for my classes and research projects. 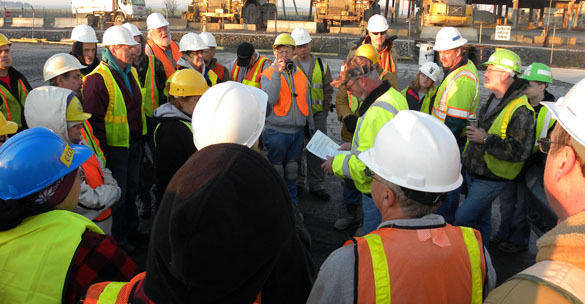 Thank you also to the Lafarge Cement Quarry managers for facilitating this productive experience. 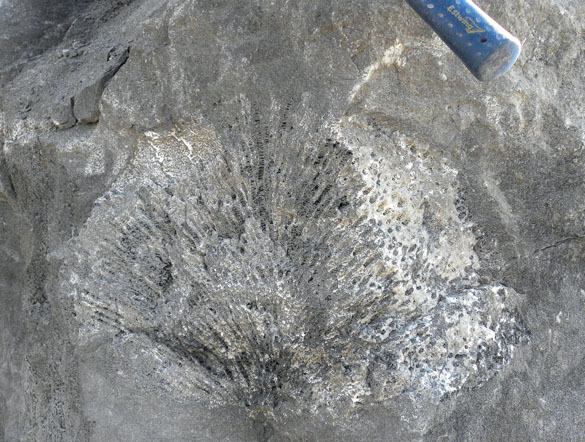 The Silica Formation is very well known for its abundant fossils, especially brachiopods, corals, trilobites, and bryozoans. I’ve wanted to examine the Silica for a long time because it has produced significant material for the hederelloid and microconchid projects I have been working on with my Polish, English and Estonian colleagues. For the first time I was able to collect my own specimens of each group, and to see the fossils in their geological context. A wall of the quarry. The thick gray unit is the Dundee Limestone; the thin dark sequence of mixed shales and limestones at the top is the Silica Formation. Both are Middle Devonian in age (Givetian). 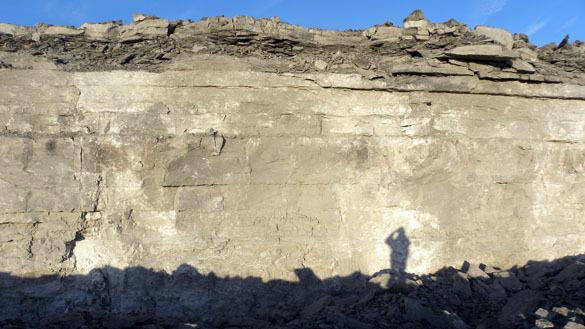 Most of us figured out pretty quickly that the best places to collect fossils were in the large weathered blocks in irregular piles well away from the quarry walls. 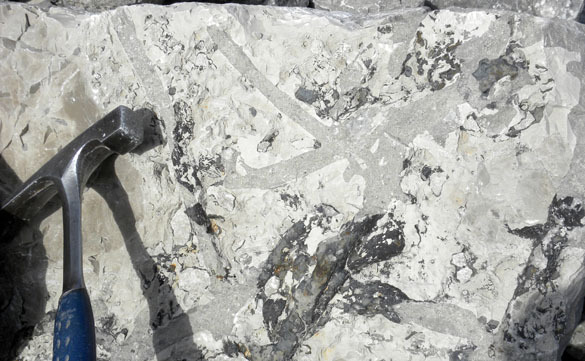 The soft Silica Formation shales erode quickly, releasing the hard calcitic fossils. Climbing around on these rocks is an acquired geological skill. 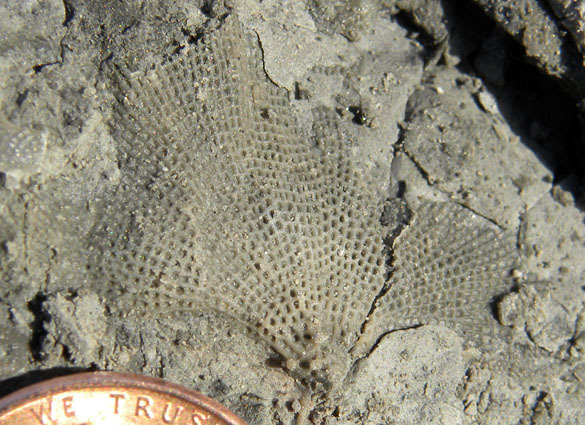 They can also identify the order to which this beautiful and delicate bryozoan belongs, I’m certain. 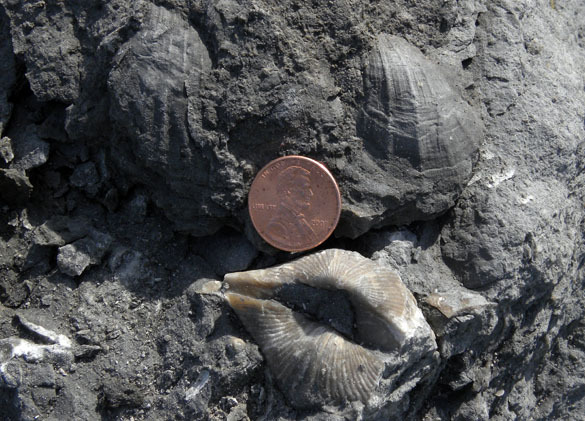 Bivalves and the spiriferid brachiopod Orthospirifer in the Silica Formation. Finally, they tend to be overlooked in the excited search for trilobites and other shelled creatures, but there are also spectacular trace fossils in the Dundee Limestone.